As some of you may know, for about a year I’ve been working on a spiritual memoir with a Girls in Trouble thread – telling my story, in tandem with those fascinating stories of women in Torah I’ve been studying, teaching and making art about for so many years now. It’s pretty wild to write in prose after all these years of poetry. It reminds me of my earliest writing days, before I fell in love with poetry, when I would – at ten or eleven – attempt to write my autobiography. It just seemed like the thing to do. I always began with the same words: “Alicia stepped out of the house on a clear, crisp November day.” But then I would realize I didn’t have much to say and stop. Well, I am thrilled to announce that a) I have done a bit of living since then, and b) that the first excerpt of my actual adult memoir has been published, as part of a series on religion at Awst Press. Read it here and please share if you are so inclined! I’ll also be teaching some classes on writing spiritual autobiography (in poetry and prose) in the coming year – trust me, it’s a fun/deep/amazing practice that everyone should try at least once. 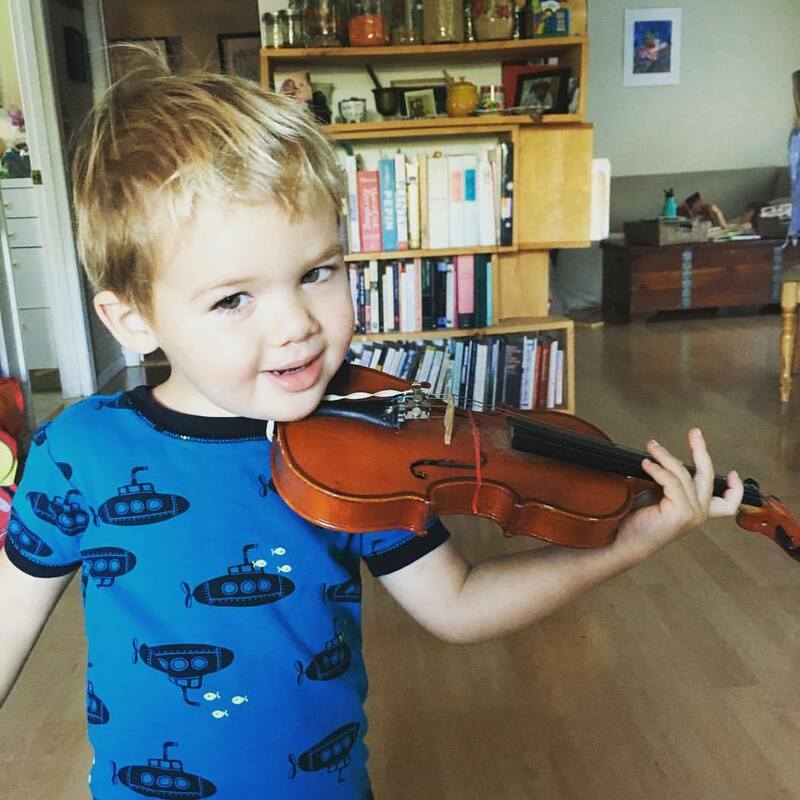 And…for a bit of eye candy…here’s a photo from this morning: Elijah practicing on the exact same instrument I started on at age three.